Q: What's the production time9 A: 35 days after confirmed PO. Q: May I custom the designs9 A: Yes,we can produce the goods according to your design. Q: May I place small qty order9 A: Yes,but we have to add extra cost for it. 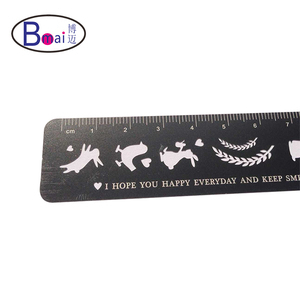 OEM logo Stainless steel ruler, high quality metal scale ruler with metric&inch scale, normal printed on one or two sides #SS15 1&gt;Popular Measuring Tool with Black and Red scales 2&gt;Graduation with Metric and Inch surface in etching 3&gt;Stainless Steel Ruler with polishing and Stain 4&gt;Length 150,300,500,600,1000mm Available 5&gt;Packing,1pc/pvc bag,10pcs/box,300pcs/ctn Shanghai Kearing Stationery Co,. 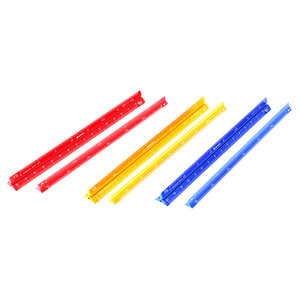 Ltd is the specialist and leading manufacturer in this field in China, and she is a high technology products manufacturer confirmed and awarded by Shanghai Science & Technology Committee. 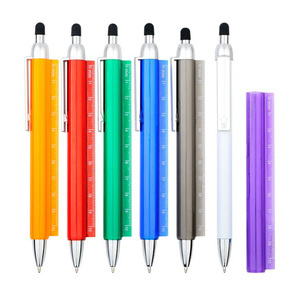 More Related Leads, Washable Marker Pen, Water erasable pen(marker), Disappear Ink Pen,Tee shirt marker , Permanent Marker,Flexible Ruler, Flexible Curve,French Curve, Rulers with Scales,Straight Rulers, Grading Ruler,Pattern Notcher, Tracing Wheel,Hole MakerSeam Ripper, Ripper,etc. 3.How long is lead time almost all production you can see in our website ,we got stock in our warehouse , so , on average ,we can prepare the cargo well for you within 2 days. 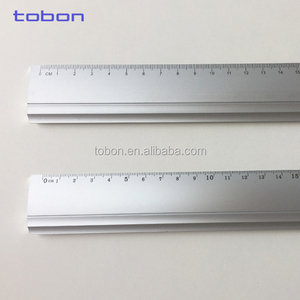 4.Can you do OEM &ODM 9 most of time , we sell the stock ,but we also be able to provide you OEM & ODM service , so please feel free to contact us if you have any request . 5.Which kind of payment term i can use we support credit card , western union,TT,L/C(over 50000$),but we suggest you use the Trade Assurance , so your benifit can be protect by Alibaba . Our Service Q:Do you have a factory&#65311; A.Yes. Q:Can you make samples for free9 A. Charges will be returned after placing order. 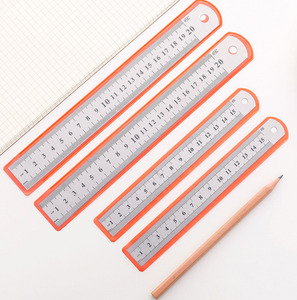 Alibaba.com offers 6,410 metal ruler products. 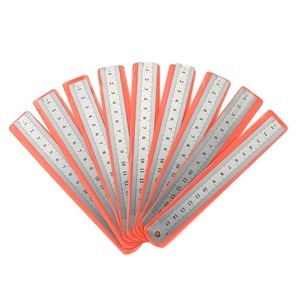 About 35% of these are rulers, 1% are tape measures, and 1% are other dental equipments. 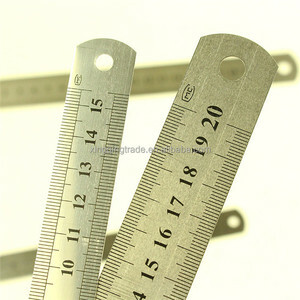 A wide variety of metal ruler options are available to you, such as metal, plastic, and wood. You can also choose from yes, no. 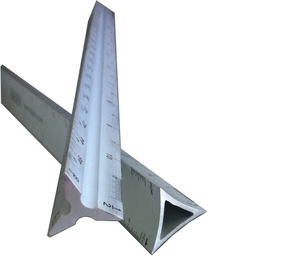 As well as from straight ruler, triangular ruler. 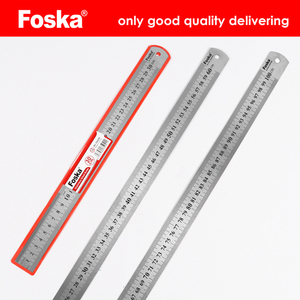 And whether metal ruler is free samples, or paid samples. 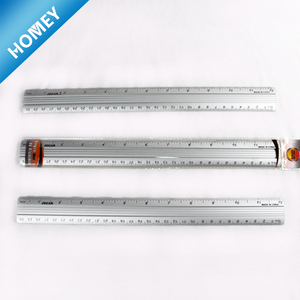 There are 6,461 metal ruler suppliers, mainly located in Asia. 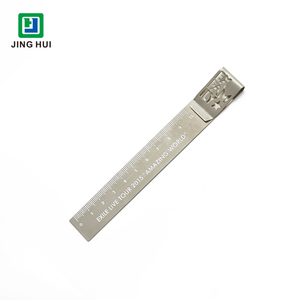 The top supplying countries are China (Mainland), Taiwan, and India, which supply 98%, 1%, and 1% of metal ruler respectively. 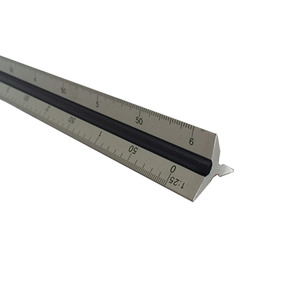 Metal ruler products are most popular in North America, Western Europe, and Domestic Market. You can ensure product safety by selecting from certified suppliers, including 2,285 with Other, 1,706 with ISO9001, and 170 with FSC certification.